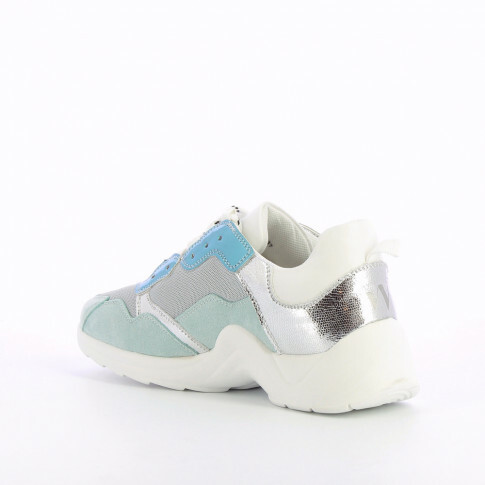 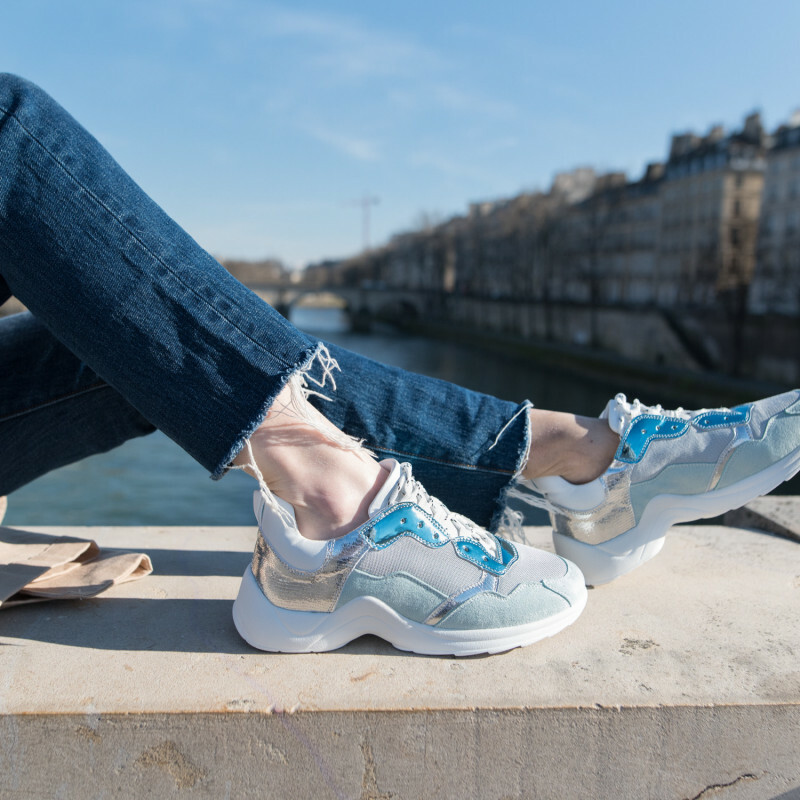 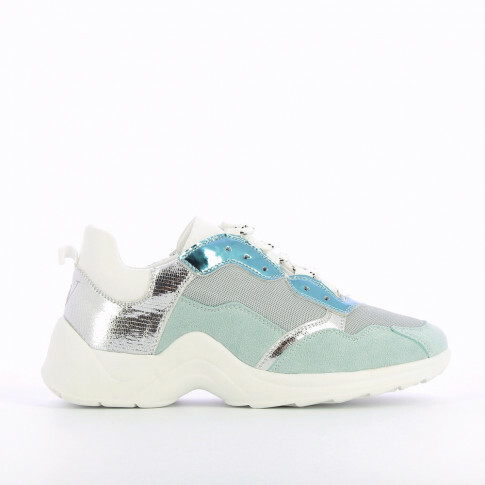 Gray mesh effect sneakers decorated with different yokes: blue suedette, silver snakeskin effect and blue mirror effect. 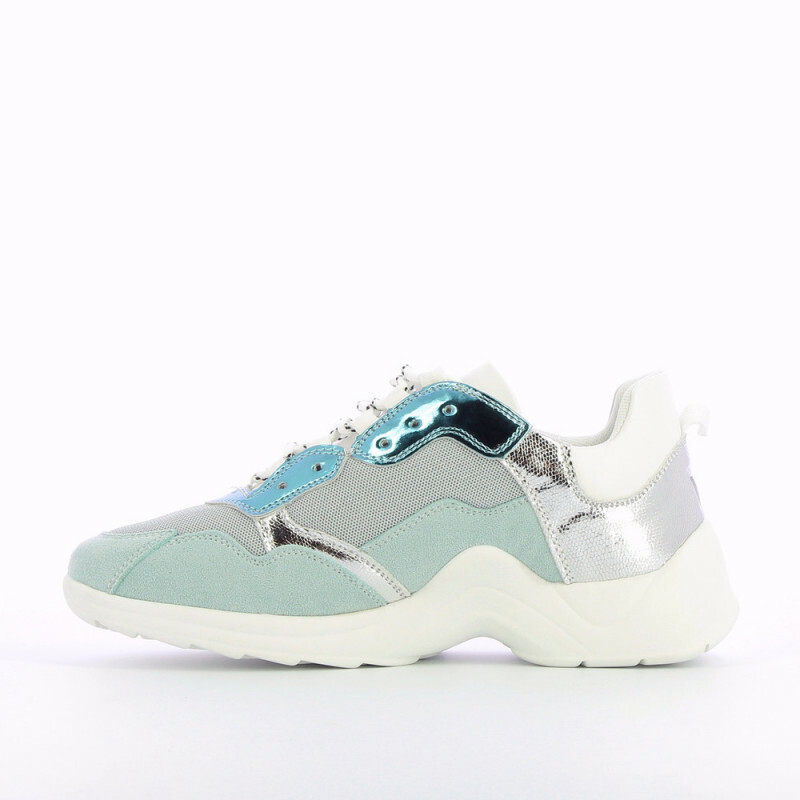 Tongue and back in white leather effect. Round toe, white laces with black patterns and white wave effect sole.